IIRC there has been some confusion in the past about the Y-block's Red engine color in the mid 50s. And also which paint company had it right. In anycase, I previously used "plasti-kote" Red engine enamel, Ford Red #206, which is a fairly deep Red, with limited if any Orange tone. To the present, I purchased 2 cans of the same companies #206 engine paint..Guess what, it doesn't even come close to the previous color. It's at least 3 shades more on the orange side. When I enquired with the paint person at our local auto parts store, I was told that "plasti-cote" has changed hands twice in recent years. 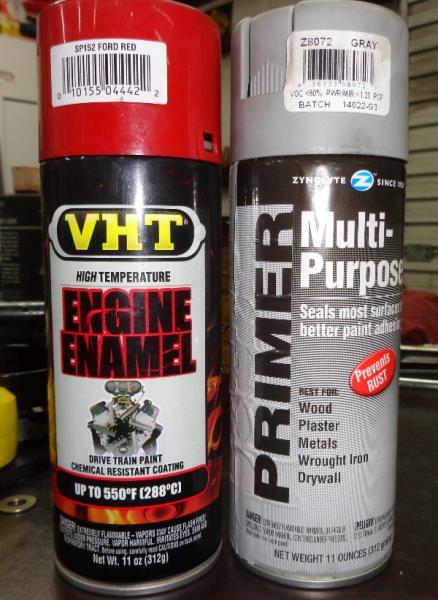 I use the engine paint from Bill Hirsch in Newark, NJ. I think he calls it Thunderbird red. and is a orangy red color. I noticed the same with the plasti-kote but after being in the car for a while it looked more red, maybe the heat cycles tone it down? If starting from scratch (museum-quality resto), use Seymour ‘Ford engine red’. 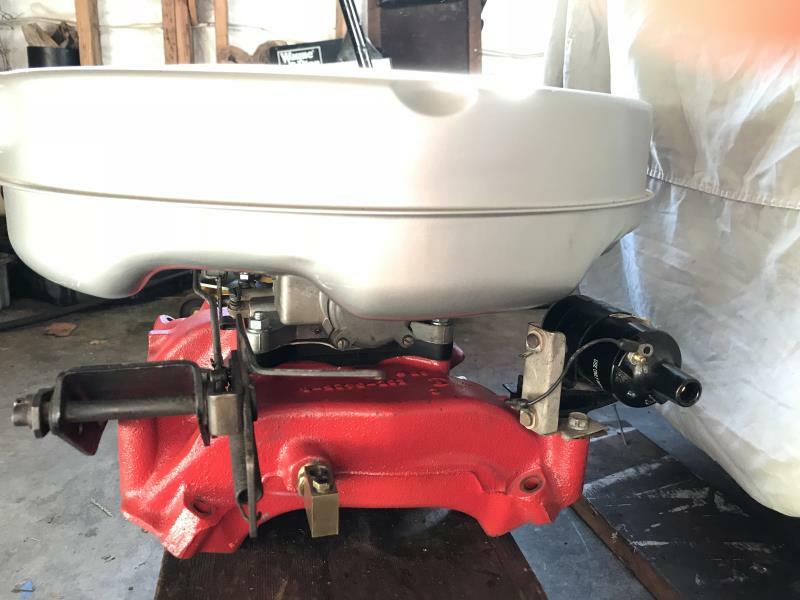 If touching up an original motor, better mix in some scrub orange (50s-era red pigments tended to fade significantly when exposed to heat & oxygen). Thanks everyone. 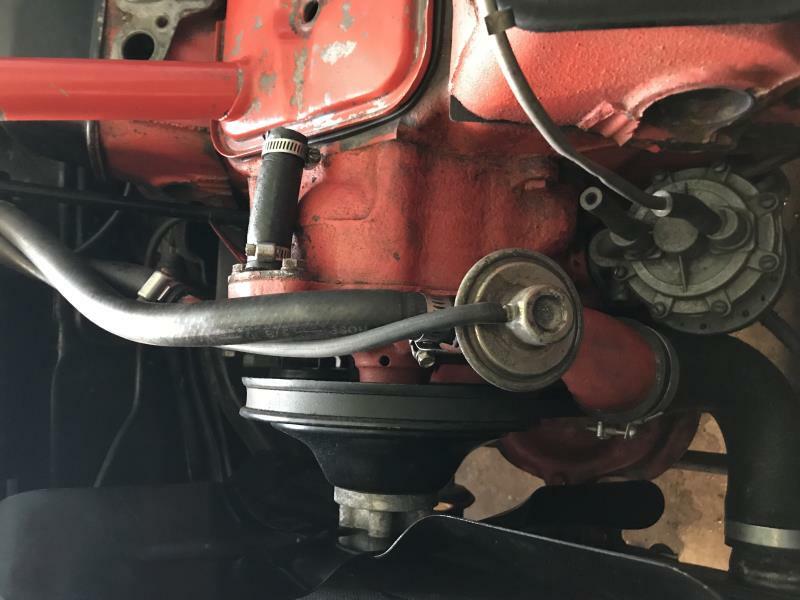 My issue is that I have just painted some parts with left over original #206, so I don't want to have to re prep & do it all over again to get it to match.. Was hoping someone could steer me to a closer match.. I personally like to use the Rangoon Red Code "J" that ford used on pickups in the mid sixties for a good substitute for the original Ford Engine Red. I have it mixed in a single stage urethane with hardener and spray with the gun. The Catalyzed Urethane paint will not rewet, soften, or stain like a spray can paint will. Often even a small fuel leak or a shot of brake cleaner melts the rattle can paint. Using a high quality urethane is a little more effort but will look perfect for years. It's just a more professional way to make a Y-Block stay looking beautiful. Thanks Pat, but some of the touch up is in chassis & a spray gun isn't an option. The manifold & valley cover are already painted with the original #206 (real) Red & ready to install, but now I need to find a substitute Red to complete the touch up, due to the change in paint formulae..Will keep looking. I’ve found that the VHT Ford Red on top of grey primer comes reasonably close to the original Ford Red without spending a lot of money. It does have that orange tint to it while many of the other Ford Reds that are available in rattle cans do not. I find the VHT brand at the local Auto Zone. As far as I can tell, my engine still wears the original paint. It has a an orange tint that the rattle canned parts I've swapped in doesn't. Original paint. The heater valve has since been returned to the intake. Pretty sure any Ford red engines with original paint are going to be faded to the point of being unrecognizable by now. Up until modern paints came along red was always a color that would fade, sooner than later. I have used Dupli-Color Engine Enamel on several engines. DE 1605 Ford Red. Seems to be the right red. No orange tone at all. Have used the Dupli-Color engine enamel in other colors as well, my experience it is very good paint. Follow the instructions. Clean. Light coats followed by a medium wet coat, on the schedule they suggest. No need for primer. Holds up real well. Been using it close to 20 years. All good results. DE 1635 Ford Semi Gloss black and DE 1615 Aluminum are staples in my shop as well. Edit: My understanding is that VHT and Dupli-Color are owned by the same parent company. Have been several years. Dupli-Color used to have 1200 degree paint that was very good also. Their aluminum color was nice and bright. Looked exactly like fresh bead blasted aluminum and would stay that way. When I could no longer find it I eventually found that VHT had taken over the real high temperature part of Dupli-Color. VHT is real good too but their aluminum isn't quite as bright as Dupli-Colors was. Oh well. Dupli-Color engine enamel is good for 500 degrees which is plenty for most parts.